[PR] Anhui OSS strengthen mobile solution of Weibo style enterprise social networking system “Crowdroid for Business” for making more smooth your enterprise mobile collaboration. Today, our company published the new press release as follows, so please allow me to introduce it here. 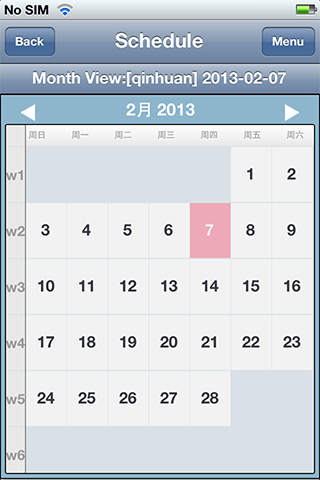 Anhui Opensource Software inc. （Anhui OSS, President：Takamitsu Nakao） announced that published the lightweight WAP version and iPhone/iPad client to strengthen our mobile solution. Enterprise social networking system is increasingly needed in all over the world, but its mobile solution is also increasingly needed at the same time. We have provided its Android client for many years, but we start to provide its lightweight WAP version and iOS client to meet this expectation. According to the report by Forrester Research, the scale of enterprise socila networking market will be 6.4 billion USD in 2016. And its market is growing in China too, according to the report by CCW research, the scale of its market gained 246% growth in 2012. Because of this, its mobile solution is also increasingly needed at the same time. The number of mobile internet user is rapidly increasing. For example, its number in China was 420 million people in the end of 2012, and its increase number was larger than the whole internet users. We have provided its Android client for many years, but we start to provide its lightweight WAP version and iOS client to meet this expectation at this time. According to the report by CNNIC, the mobile internet users in China were 420 million people in the end of 2012, and mobile device already became the top of all method connecting to the internet in China. But on the other hand, Baidu said that about 75% of mobile internet users in China were still using 2G connection in the last second quarter. So we start to provide the lightweight WAP version for these users. The UI of lightweight WAP version is very simple, so such users also can realize mobile collaboration very smoothly. You can see the login page of lightweight WAP version here. iPhone have the second large market share in the smartphone market all over the world. And iPad also have the great popularity, and the user is increasing the day by day. According to the report by MIIT, the shipment number of smartphone in China was over 250 million units in 2012. We have provided its Android client for a long time, but we start to provide iOS Client at this time, so we can cover the most of smartphone users. You can check the manual of Crowdroid here. We define these two products as prologue of enhancing our mobile solution, and we will add chat function to this in near future. 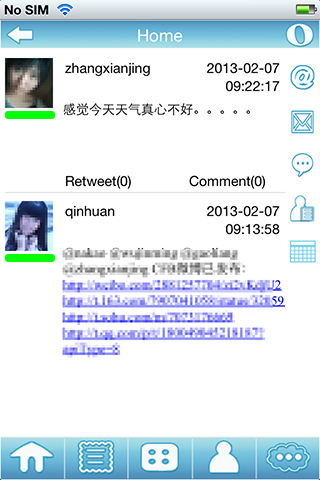 CFB is a Weibo style enterprise social networking system that is suitable to mobile using too. 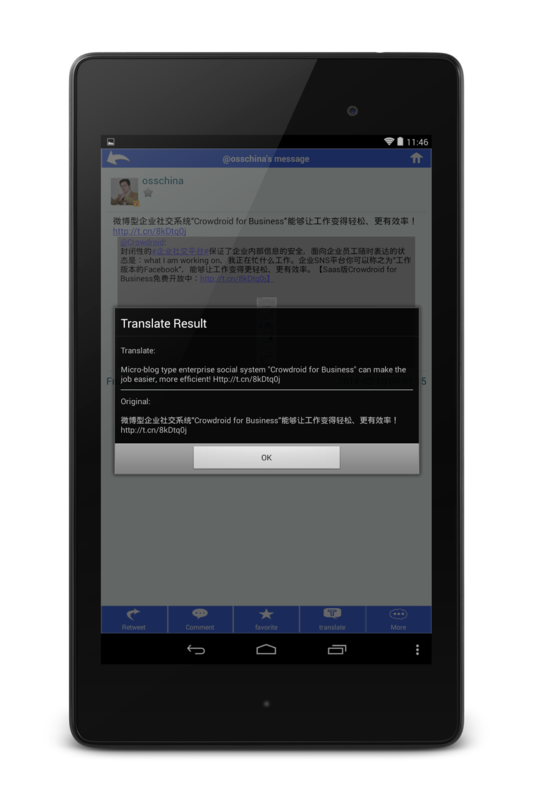 CFB support three language(English, Japanese and Chines), and it have easy translation feature, so it is useful for using in the international companies/ communities. CFB also support the communication of n-to-n, so customers can understand the situation in their companies clearly, timely, easily. 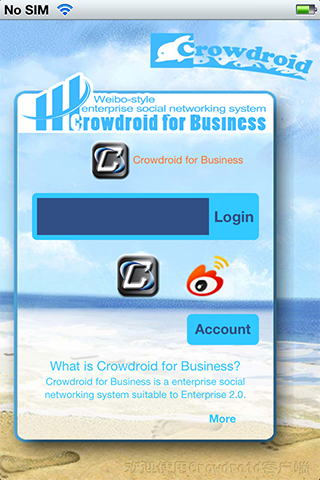 Weibo style enterprise social networking system “Crowdroid for Business” have three types edition. ※You can use "Crowdroid for Business Free Edition" freely within 30 users from here. １）Company: Anhui Open Source Software Inc.
- Development of own products (Weibo style enterprise social networking system, Weibo and Twitter client for Android and so forth). - Provide the outsourcing services related to social networking, Android apps, HTML5 apps and so forth. - Provide the total consulting of related to open source software.